If you're reading this right now, the Mayans were wrong 2013 is 11 days away. 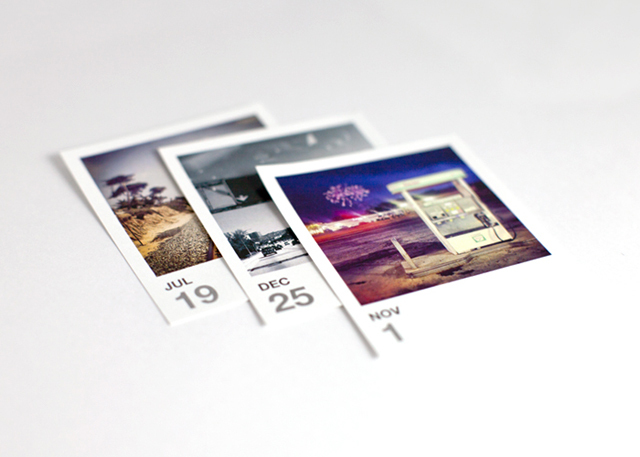 In case the photo didn't give it away, a Printstagram calendar is a calendar made from your Instagram photos. Instagram is hot right now (well maybe not so hot anymore since they changed their TOS terms and got everyone all riled up but I digress) and the folks at Prinstagram are geniuses. Ah, the classic Stendig calendar. I had one of these babies back in 2010 and have loved its bold black and white pages and oversized graphics ever since. 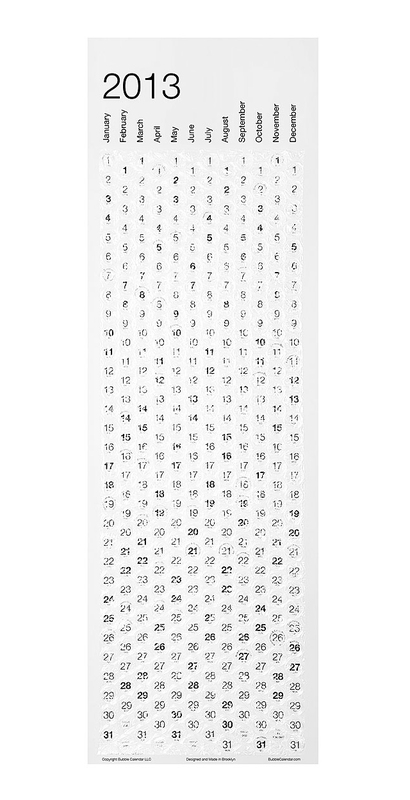 The calendar is huge (3' H x 4' W) but after the month's have passed, you can tear-off the pages and save them for wrapping gifts throughout the year! 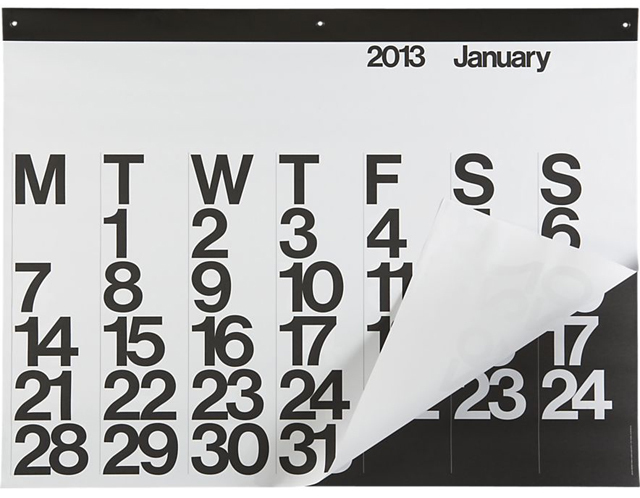 Maybe you don't have the space for a 4' wide calendar. That's ok! 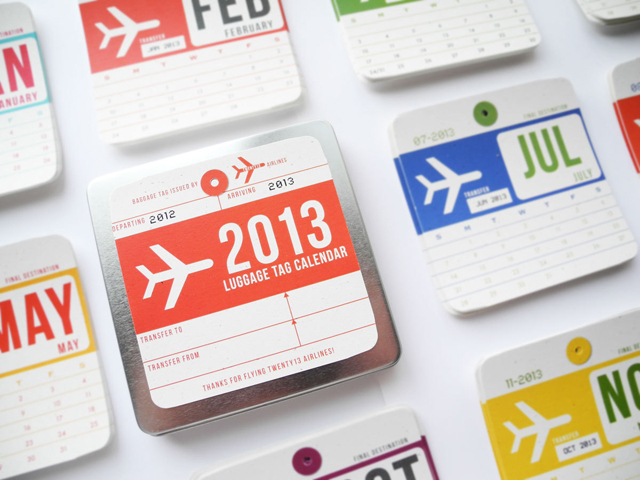 This cute little airline baggage tag calendar is perfect for those whose wall space is limited or simply prefer a smaller, more petite reminder of the passing year. Pssst: there's also a Star Wars version! Do you have your 2013 calendar yet? Love the calenders. I like the bubble design and the superhero once is cute too! 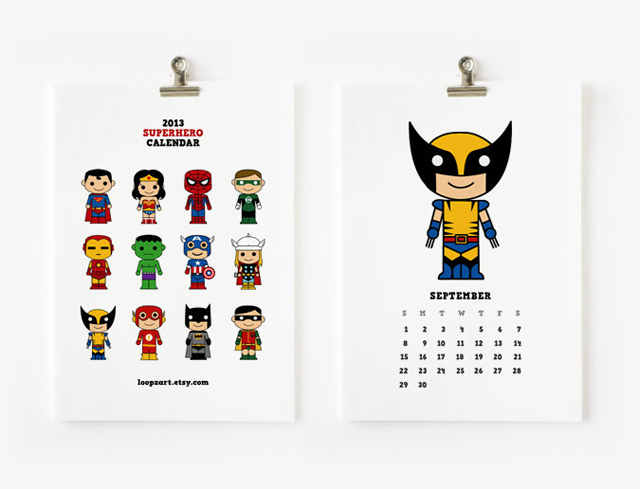 I ordered two of the Instagram daily calendars this year for hubby and I. They are really cool! Wow! I have no clue who came up with the "world ending" idea. I just ignored all the Facebook statuses and what not. I truly did NOT believe that the world was coming to an end. Did you?